What Are Some Other Requirements of the ELD Mandate? In little over a year, more than 3.5 million commercial trucks in the United States will have to be equipped with electronic logging devices (ELD). Federal officials say the newly enacted ELD mandate will make roads safer, fleets more accountable and the industry more efficient. Fleets have until December 2017 to comply with the federal mandate. But while industry leaders make their way through the new law’s extensive provisions, analysts argue that the mandate’s tangle of rules, requirements and regulations don’t make for easy traveling in the short haul – at least in the bureaucratic sense of the word. And they’re asking about the other requirements of the ELD mandate. With more than 800 pages, the mandate purportedly paints an intricate and detailed picture of the commercial transportation’s future – one that is more automated, equitable, efficient and governed by technology. We at ABCO Transportation began a series to explore what the mandate means, what fleets have to do to comply and how it affects the industry. This week’s question is: What are some of the other requirements of the ELD mandate? This is the sixth article in this ongoing series. Industry expert Annette Sandberg delved into the mandate’s major issues during a conference with FleetOwner, an online information source for fleet leaders. Sandberg was administrator for the Federal Motor Carrier Safety Administration and deputy administrator for the U.S. Department of Transportation’s National Highway Traffic Safety Administration. 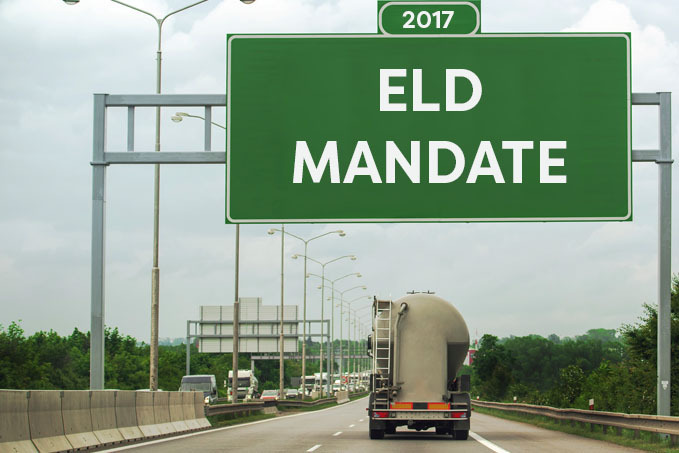 The mandate explains exceptions and lays out a timeline for fleet implementation. Provisions in the mandate apply to company drivers and owner operators. Owner operators must ensure their trucks comply with the mandate’s provisions, including the carrying of proper documentation. ABCO Transportation’s clients can rest assured our drivers will ship and deliver promptly, professionally and in compliance with facets of the ELD mandate. “The requirement behind maintaining supporting documents in conjunction with the ELD is to help carriers identify all work time that should be logged as on-duty not driving,” Sandberg said. All drivers must maintain up to eight supporting documents. “If a carrier does not have eight documents that contain all the above elements, they should keep any document that contains all the above elements except time, as that document would still be considered a supporting document. Only drivers still on paper RODS (record of duty status) will be required to keep toll receipts in the future,” Sandberg said. ABCO Transportation is your professional choice for shipping refrigerated freight. We know how important it is that we maintain the integrity of your products. If you have freight you need to ship, contact us. If you would like to learn more about what we do, follow us on our social media channels.